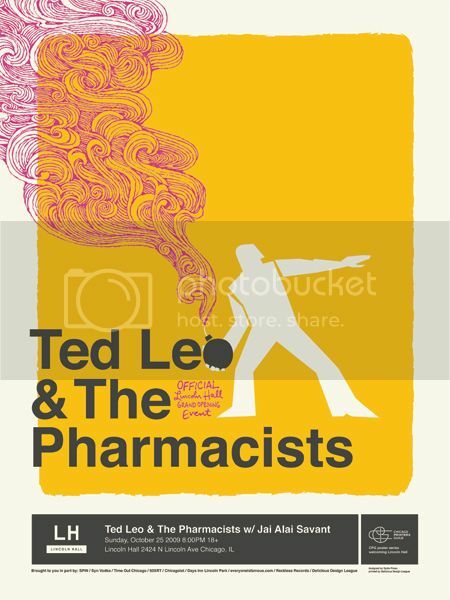 Chicago’s Spike Press is making some of the most exciting new concert posters of anyone out there. 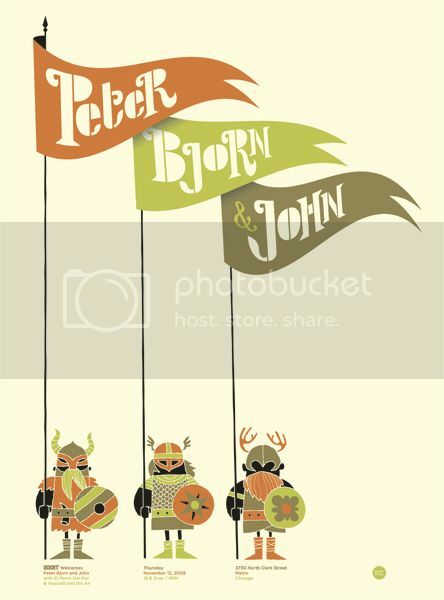 His newest two, which are for Ted Leo and Peter, Bjorn, and John, are both limited edition screenprints for $20-$25 each. Visit SpikePress.com. Both of these are pretty cool, well done. yeah excellent. Especially that first one, but both are great.